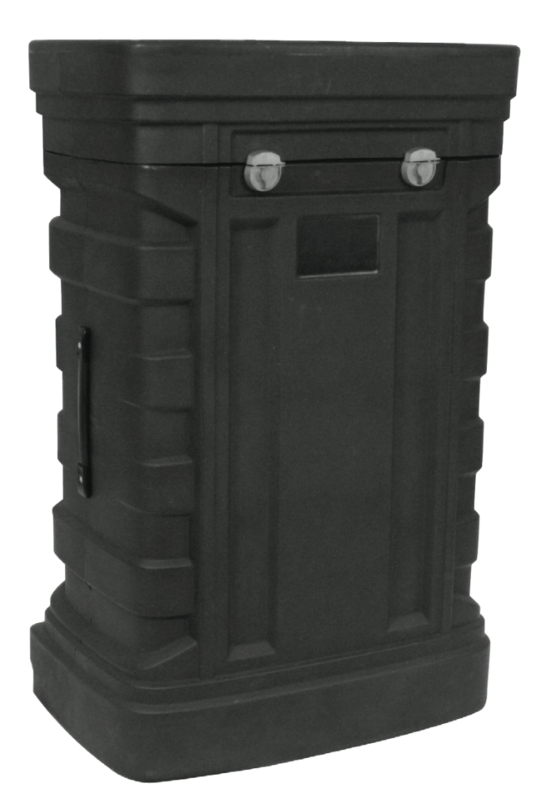 Deluxe transport case with rugged good looks is now available with protected recessed wheels, snap-locks and handles. Both lid and sides have handles for better mobility. This case offers the best protection yet, with partition inside to create separate compartments. Can be optionally fitted with inset graphics or logos for heightened branding of your company or product as you travel with your displays. Soft case for retractible banner stands. Includes 1 year Hardware Warranty, unprinted. Ideal for trade shows, point of sale or presentations. In addition to quality presentation materials and displays, we also understand the importance of protecting and transporting your valuable investments. We provide a wide range of cases, from square to oval to semi-oval, as well as case-to-podium conversion kits. We also have nylon carrying cases and photo mural cases specifically for your artwork and banners. The MX-CWD Oval case will hold an 8' to 10' pop-up display. It includes castors, latches and foam protected storage in a lightweight design for optimal transportation. For your convenience this case will convert to a usable counter with a back door that opens to a shelf for storage. A custom wrap-around-skirt is available. For more information about the case size and wrap-around-skirt size, click on the dimensions button below. The OCP Elite case is a general purpose transit case with built-in wheels, a sturdy handle, and secure locks this piece makes a great general purpose transit case. The roll wrap is available in fabric or graphic and has a polymer counter surface. This roto-molded exhibit transit case is the perfect, premium protective shipping case for a variety of exhibits, displays, and more. The OCP2 has built-in recessed wheels to help protect during transit. 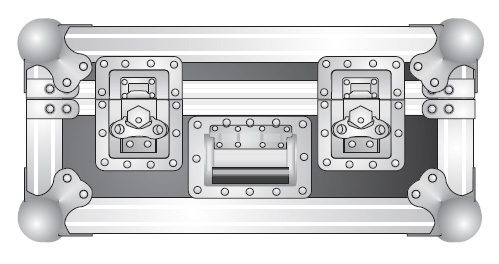 It also features premium locking latches to ensure display material is secure dur- ing transport. This adjustable, hard molded case is the perfect protective shipping and/or storage case for a wide variety of banner stands. With an adjustable lid, the OCB case can hold banner stands up to 1000mm / 39” in length. This heavy-duty shipping and storage case is ideal for modular exhibit systems such as Hybrid Pro Modular, Vector Frame Geometric and Linear Extrusion displays. Secure reinforced straps help to assure case will remain closed during transportation. Built-in wheels and strap for maximum portability. The OCX is a roto-molded protective shipping case. With built in wheels, a sturdy handle and secure locks, the OCX ensures your Popup travels safely and securely to any event. A roll wrap and stretch wrap is available to help you easily convert the case to a counter. 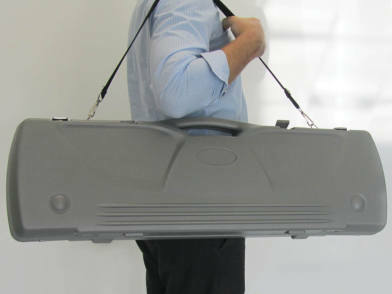 Protective banner stand case made of hard plastic, with shoulder strap for easier portability. This green hard case will fit most pop up fabric displays and the Contour and Milan displays - also add a Graphic fabric pillow wrap to turn it into a counter for your Tradeshow. For your convenience it features a handle and wheels for easier transportation. Size: 15”w. X 17”d. X 41”h.